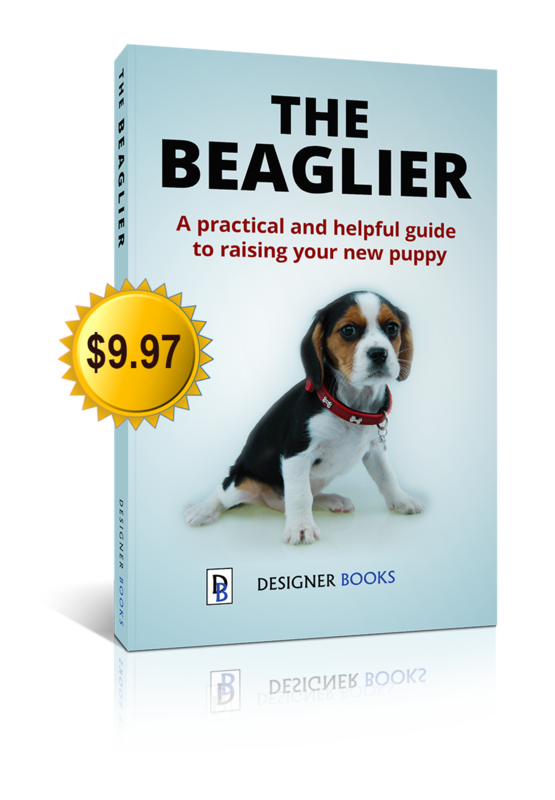 There are many factors that go into properly caring for a Beaglier. Besides providing food, shelter and love, owners should also provide routine veterinary care, vaccines, and necessary parasite preventatives. Worming your pet is important, yet is all too often overlooked by well-meaning pet parents. Worms are intestinal parasites such as heartworm, roundworm, hookworm, tapeworm, and whipworms that use a dog’s (or other host animal’s) intestinal tract as a place to live. The worms take nutrients from your dog’s food in order to survive, leaving your Beaglier weakened and suffering from poor nutrition. Where do dog worms come from? Dogs can contract worms in a number of ways. Heartworm is transmitted to dogs through mosquitoes, while a dog may get roundworms from eating soil or poo from other animals, including rodents. Hookworms can infect dogs in a similar manner as roundworm, but can also work their way through an animal’s skin and into its blood stream. Whipworms come from consuming infected food or water, and tapeworms are the result of ingesting fleas. 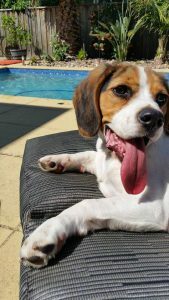 A Beaglier that has been infected with intestinal worms will show any number of symptoms including coughing, “scooting”, diarrhea, vomiting, sudden weight loss, distended stomach, anemia, pale gums, or even death. Depending on the type of infection and severity, worms can be treated in a variety of ways. 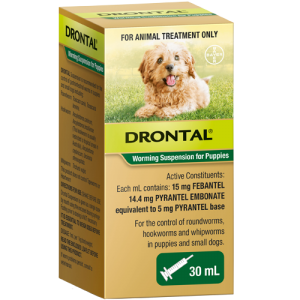 Most often, for infections such as roundworm, whipworm, hookworm, or tapeworm, a common dewormer such as Drontal Allwormer is administered. This treatment kills worms in the digestive tract, and typically 1 -3 treatments are required. For severe cases such as heartworm infection, antibiotics, steroids, and even surgery may be necessary. Regular deworming is an important preventative measure that kills any existing parasites in a dog’s intestinal tract before they can grow and cause harm to the pet. Puppies, who are most at-risk for suffering from a worm infestation, should be administered a deworming tablet or gel at 2, 4, 6, 8, 12, and 16 weeks of age, and then again at 6 and 12 months. Beyond one year of age, dogs should be dewormed annually. For heartworm prevention, dogs should be administered a separate preventative, typically in the form of a monthly oral tablet or spot on treatment such as Revolution. Regular worming of your Beaglier will help to keep them free of these nasty parasites.